Once you have an e-commerce website that is performing well in one country – let’s say it’s the UK – you’d be surprised just how easy it is to replicate that success overseas. Opening your business up to new markets through e-commerce translation is an excellent way to boost sales and increase your bottom line. If you plan on moving into another English-speaking market then you’ll still need to make some cultural adjustments to your site. By simply taking a look at a few e-commerce sites in the UK and the US, you will see just how big a difference there is. But what if you want to expand into a new market in the EU, or perhaps China or India? Studies have shown that people prefer to buy products online in their own language. In fact, 72 percent of consumers admit they are more likely to make a purchase once they have obtained information about a product in their mother tongue. Given this native-language bias, what can you do to ease the transition of your e-commerce website into non-English-speaking markets? Furthermore, finding a hosting solution in the local market will provide you with an IP address that will help your site appease the search engines’ local bias. Maintaining your e-commerce website becomes increasingly difficult as you add more languages to your site. The key is to use a content management system (CMS) that is ‘global-ready’ so it can streamline updates across multiple languages and maintain a smooth workflow. A CMS that is compatible with Unicode support will allow you to add all characters in every language so your e-commerce translation goes without a hitch. With multiple languages spoken in many countries around the world, you’d be wise to provide a drop-down menu that allows customers to choose the language they want to buy in. That puts them in control of their shopping experience right from the start. Automatic language selectors based on IP addresses restrict customers and could cost you the sale. It’s not only the languages that are spoken that differs between markets. Everything from sizing and measurements to currencies and the format of dates need to be taken into account. Similarly, product images should be carefully considered. While certain images might be appropriate in Western markets (for example, pictures of women in short sleeves), they will be completely inappropriate in the Middle East. There are a number of translation apps and automation tools out there, but if you really want your translation to strike a chord with your local audience, it’s essential that you hire a professional translator. The translator will ensure that everything from the metadata to the product descriptions and key messages are not just translated but are localised to meet the preferences of a local audience. 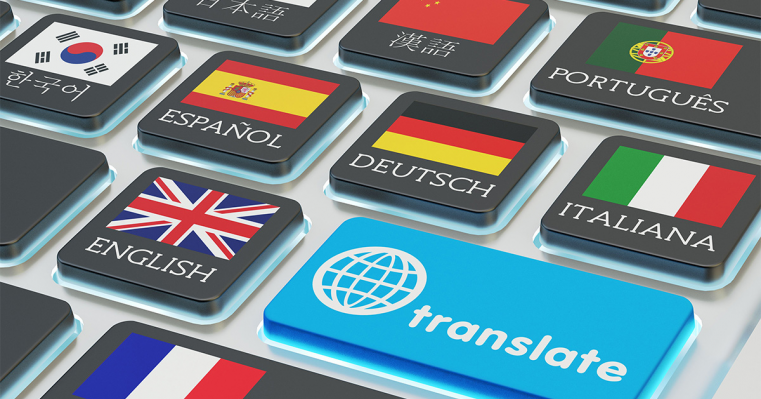 Google penalises websites for inaccurate translations, and customers will not buy from a site that doesn’t ring true, so opt for a professional translator every time. Here at Linguistica International, we work with a team of 200 mother-tongue translators that deliver word-perfect translations to give your e-commerce store the global edge. Email info@linguistica-international.com or give us a call on 02392 987 765 to discuss your requirements. What should Quality Control in Translation Look Like? The quality of any translated material is extremely important. We all know how quickly we dismiss a company or brand with mistakes in its marketing materials, whether it’s their website, brochures or articles. Additionally, the repercussions of mistakes in legal, medical and technical documents can be severe. But when you don’t speak the target language, how can you judge the quality of the translation agency’s work? It might surprise you to know that there are objective quality standards in the translation industry, such as EN 15038, just as there are in manufacturing, professional services and many other sectors. These quality standards show that the techniques and processes are in place for the translation agency to deliver accurate work that’s delivered on time and within budget. All translators check and double-check their own work. That includes the spelling and grammar and referring to outside resources like style guides and terminology glossaries where necessary. Factual accuracy, readability and the tone of the piece must also be just right before the translation passes to the next stage of the quality assurance process. A second professionally qualified translator and native speaker with industry-specific knowledge will proofread the translation. The original translator can miss errors due to their over-familiarity with their work. That’s why asking an independent proofreader to take a fresh look at the copy can make a big difference to the accuracy of the final document. Editors go a level deeper than proofreaders. They look at linguistic issues like style and fluency as well as technical issues such as consistency, the use of industry-specific abbreviations and the all-important feel of the content. This is essential to ensure the text will make a mark within the target industry. All translations have to be delivered within budget, so this is not a step we’ll take for every translation. However, the process of back translation does provide an extra layer of quality control for high-value content. This process asks a brand new translator to convert the newly translated document back into its original language. The back translation and the original source document can then be compared to make sure every word is a perfect match or conveys the same meaning. We build long-lasting relationships with our clients and hope to become their trusted translation partner. That makes this final stage essential. Liaising with the client, the translation project manager provides feedback to the original translator, proofreader and editor to discuss any terminology preferences the client has, and identifies areas they can improve in the future. While a lone freelance translator might be highly skilled and meticulous, they can never compete with the peace of mind you receive from a leading translation agency with a multi-stage quality control process. That’s just one of the reasons why clients like Santander, Manchester United and Orange keep on coming back to Linguistica International. To discuss your next translation project, give us a call on 02392 987 765 or email info@linguistica-international.com today.